¼ cup cocoa powder or raw cacao powder – sifted! Whisk together in small bowl until smooth. Fill about 1/3rd of the mini candy papers with the warm chocolate. Place in freezer 5 minutes, until chocolate is set. 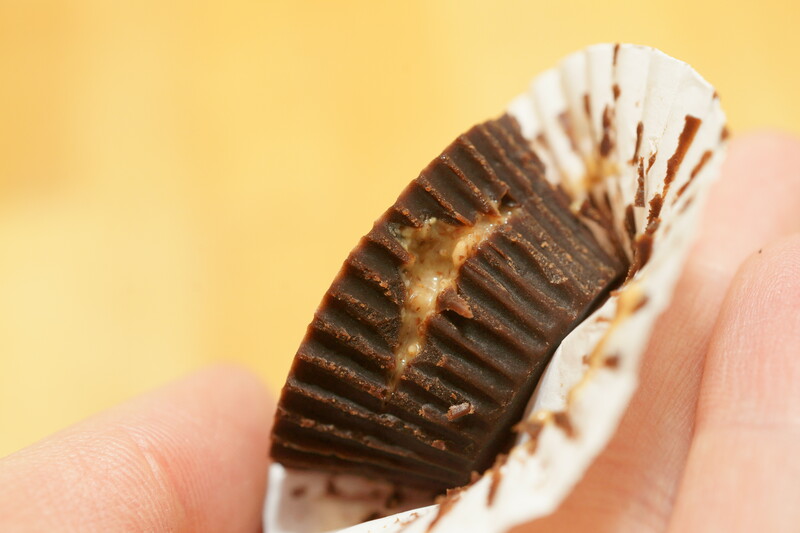 Place a small amount of almond butter (¼ – ½ teaspoon) on cooled chocolate, and cover with additional warm chocolate. Return to freezer 10 minutes or until chocolate is set. Best stored in the freezer. DONE! Welcome to chocolate nirvana. Mix coconut oil, cocoa powder and maple syrup as instructed above. Forget the almond butter and instead add ¼ t. high quality chili powder and a generous dash of ground cinnamon to your warm chocolate before filling your mini candy papers. 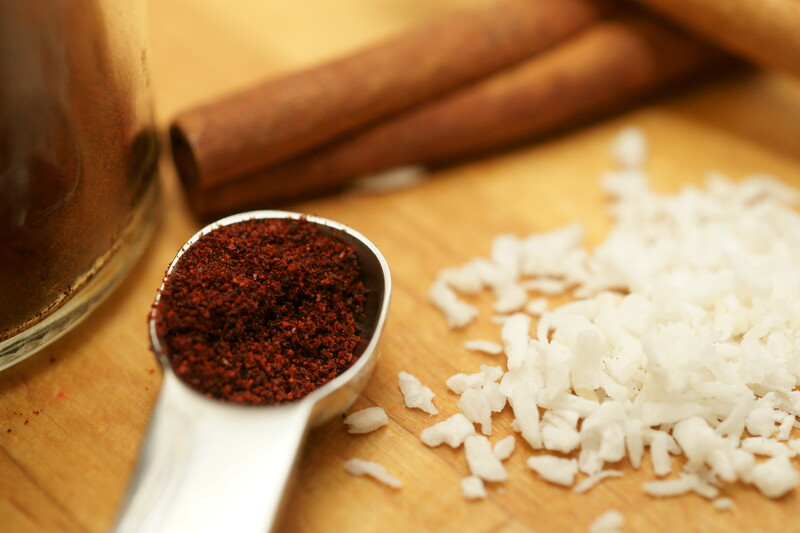 Sprinkle a tiny amount of the chili powder and unsweetened desiccated coconut (optional) before freezing if you like the look of it, or want to make it easy to identify which chocolate you’re about to eat, because I definitely recommend getting creative with this recipe and adding whatever spices excite you. 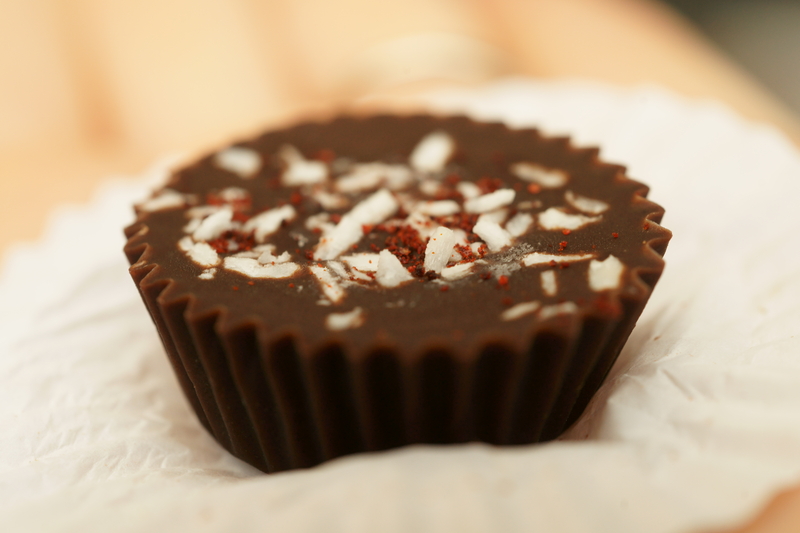 Thanks to This Rawsome Vegan Life for posting amazing desserts such as the Give Me Chocolate Almond Butter Cups which inspired this post. This site rocks so check it out if you’re looking for more healthy inspiration!